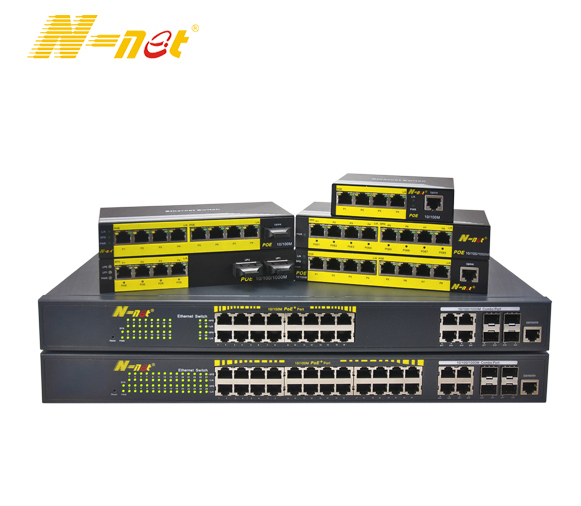 Product categories of Gigabit Ethernet POE Switch, we are specialized manufacturers from China, Fast Ethernet POE Switch, 8 Port Switch suppliers/factory, wholesale high-quality products of Fast Ethernet Switch POE R & D and manufacturing, we have the perfect after-sales service and technical support. Look forward to your cooperation! To satisfy the increasing demand of Gigabit Ethernet POE Switch(GbE) networking, we have developed this series of gigabit Ethernet POE Switch. The gigabit Ethernet POE switch supports 120-watt PoE budget to drive up to 4 IEEE 802.3at compliant powered devices simultaneously. The PoE feature enables the NT-WG500-AT4 an efficient and cost-effective solution for SMB, SOHO and other similar fields to deploy the PoE network for wireless access points, IP-based surveillance cameras or IP phones anywhere easily and efficiently.